@katben023 is on Carousell - Follow to stay updated! 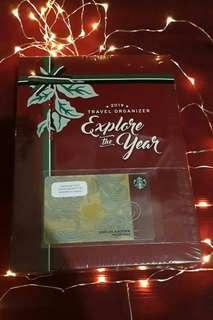 Starbucks 2019 Travel Journal (sealed) in blue. Complete with Starbucks card. Coffeebean and Tea Leaf 2019 Giving Journal (Black) with packaging. Recently claimed.